On May 19, 2015 President Obama signed the legislation creating a national alert system. The Rafael Ramos and Wenjian Lu National Blue Alert Act is named in honor of the two New York City Police Detectives who were assassinated while sitting in their police patrol car in December 2014. 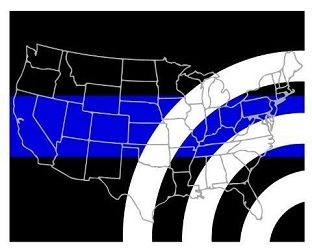 In addition to assisting law enforcement’s apprehension of violent felons, the Blue Alert system allows wide dissemination of credible threats to law enforcement agencies. The assassin of Officers Ramos and Lu posted his threats on social media before his attack. The Blue Alert Foundation is a 501(c)3 Public charity.